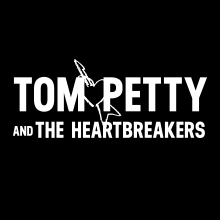 Together with Reprise Records we are very pleased to support the Tom Petty Nation Facebook Group (Facebook’s largest Tom Petty fan group) who have sponsored a night of "Tom Petty: An American Treasure" Listening Parties in the USA, Canada, and Germany to celebrate the forthcoming release of the box set! The Listening Parties are all scheduled to take place next Thursday evening September 27th, 2018 -- the night before the box set is officially released. This is your chance to be among the very first to hear some great unreleased tracks and alternative takes of classics before they’re released to the general public! In addition each Listening Party will have one Deluxe 4-CD Box Set to giveaway in a prize drawing. Lots of fun and surprises! Check out the following schedule for a Listening Party near you! 1623 ½ N. Cahuenga Blvd.